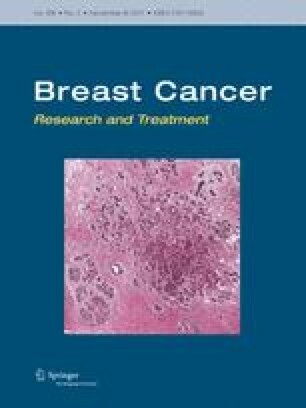 Aromatase inhibitors (AI) have been shown to reduce breast cancer-related mortality in women with estrogen positive (ER+) breast cancer. The use of AIs, however, has been associated with higher rates of hypertension, hyperlipidemia, and cardiovascular (CV) events. A cross-sectional study of 25 healthy postmenopausal women and 36 women with curative intent breast cancer on an AI was performed to assess endothelial dysfunction, an indicator of risk for CV events. Consented subjects underwent vascular testing using the HDI/Pulse Wave CR-2000 Cardiovascular Profiling System and the EndoPAT2000 system. Mean age was 61.7 and 59.6 years (cases, controls). Most subjects were Caucasian and overweight. Controls had a lower mean systolic blood pressure (128.6 mmHg vs. 116.2 mmHg, p = 0.004). Median estradiol levels were reduced in cases (2 vs. 15 pg/ml, p < 0.0001). EndoPAT ratio (0.8 vs. 2.7, p < 0.0001) was significantly reduced in cases as compared to controls. Median large artery elasticity (12.9 vs. 14.6 ml/mmHg × 10, p = 0.12) and small artery elasticity (5.2 vs. 7.0 ml/mmHg × 100, p = 0.07) were also reduced though not statistically significant. There was no correlation between use of chemotherapy, radiation therapy, type of AI, or duration of AI use and endothelial function. When adjusting for differences in blood pressure, results remained significant. Breast cancer cases on AIs have reductions in endothelial function, a predictor of adverse CV disease. Impact: Vascular function changes in breast cancer cases on AIs compared to postmenopausal women. Further work is needed to evaluate vascular changes over time. The work in this paper was supposed by the Building Interdisciplinary Research Careers in Women’s Health (BIRCWH) NIH# K12-HD055887 Grant.